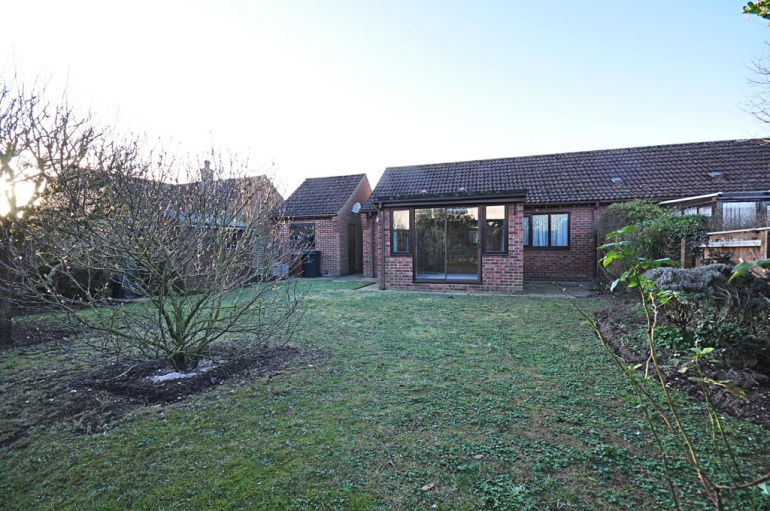 A RARE OPPORTUNITY TO PURCHASE A TWO BEDROOM SEMI-DETACHED BUNGALOW UPON A SOUGHT AFTER CLOSE WITHIN THE DESIRABLE AND WELL SERVED VILLAGE OF EAST HARLING. 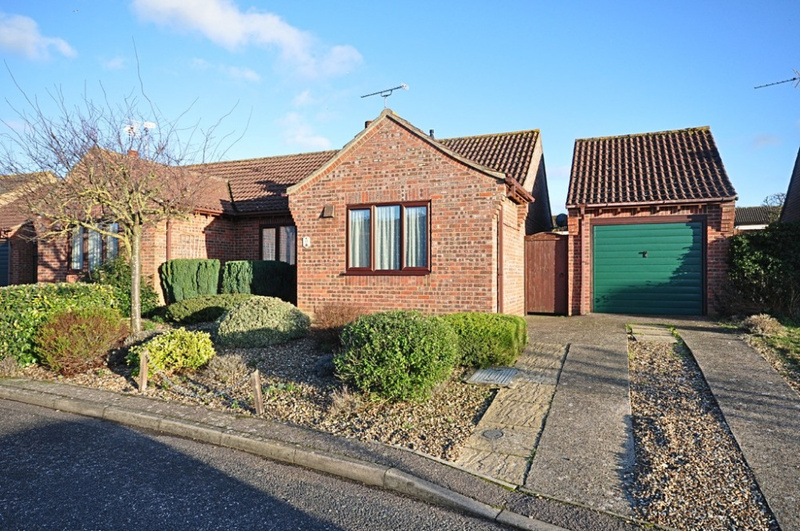 FURTHER BENEFITING FROM SINGLE DETACHED GARAGE, OFF-ROAD PARKING AND NO ONWARD CHAIN. Located on a popular residential development within the traditional and well served village of East Harling, the property enjoys a pleasing position upon Brewsters Close. 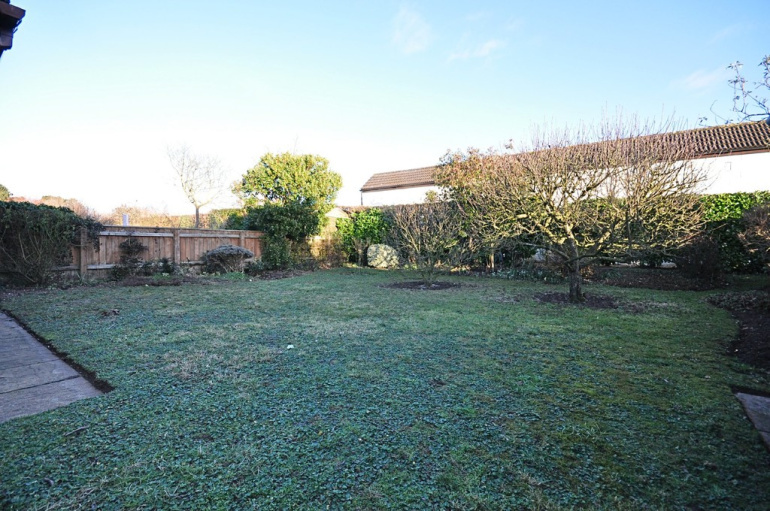 Over the years the close has proved to have been a much sought after and highly regarded area of the village comprising of similar individual and attractive properties set upon spacious plots. 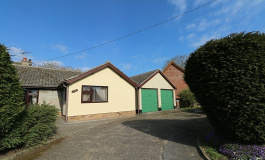 East Harling is found on the south Norfolk borders and offers a good range of local amenities and facilities still retaining village shops, schooling, doctor's surgery, public house, fine church etc. The village is well placed with easy access to the towns of Diss and Attleborough having a more extensive range of amenities and facilities and with mainline railway stations. The property is believed to have been built in the early 1990s and of traditional brick and block cavity wall construction under a pitched interlocking tiled roof and with the benefit of the installation of replacement sealed unit upvc double glazed windows and doors. Heated by a gas fired combination boiler via radiators. Internally the property offers pleasing accommodation with well-proportioned rooms all flooded by plenty of natural light. The bungalow is approached via a hard standing driveway giving off-road parking leading up to the single detached garage (measuring 18' 9" x 8' 9" (5.73m x 2.67m) of brick and block construction under a pitched roof, power/light connected, up and over door to front, window rear to rear and personnel door to side). The main gardens are found to the rear of the property and are predominantly laid to lawn enclosed by established hedging and panel fencing. ENTRANCE HALL: 13' 3" x 3' 6" (4.06m x 1.09m) Access via upvc double glazed frosted door to front. 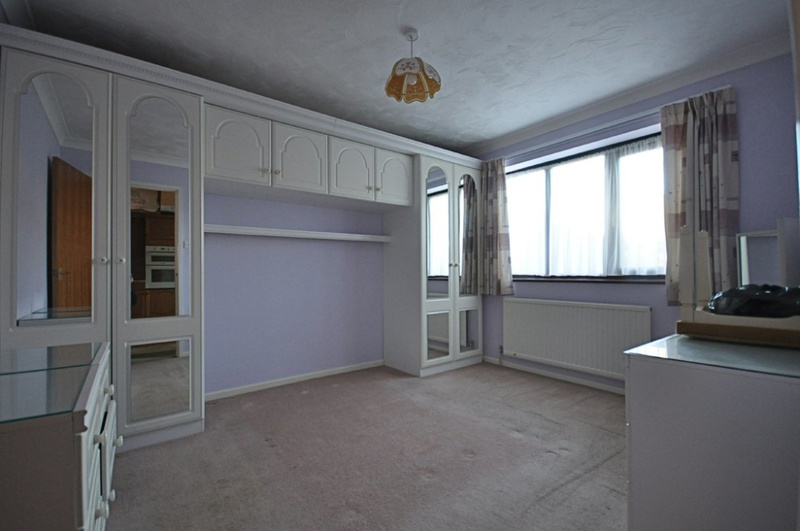 Internal doors giving access to the two bedrooms, reception rooms, kitchen and bathroom. Built-in airing cupboard to side housing the combination boiler and fitted with shelving. Access to loft space above. RECEPTION ROOM ONE: 15' 10" x 10' 11" (4.84m x 3.35m) With window to the front aspect flooded by plenty of natural light. 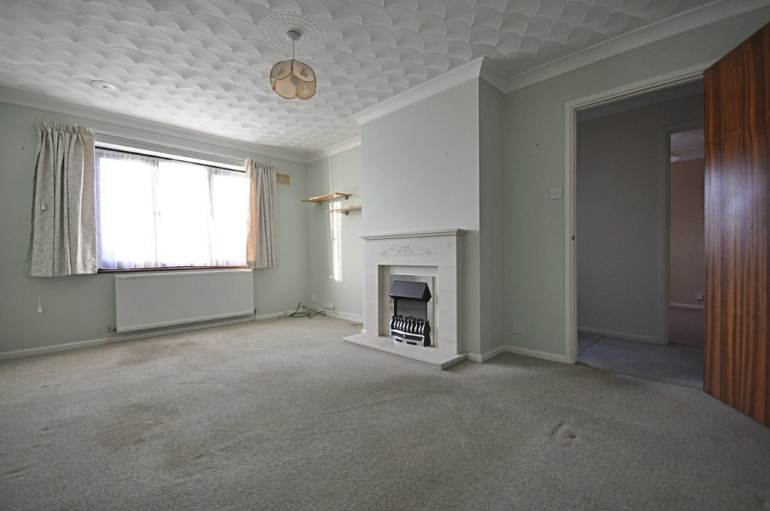 A particular focal point of the room is the fireplace with inset electric fire and Cotswold stone surround and hearth. 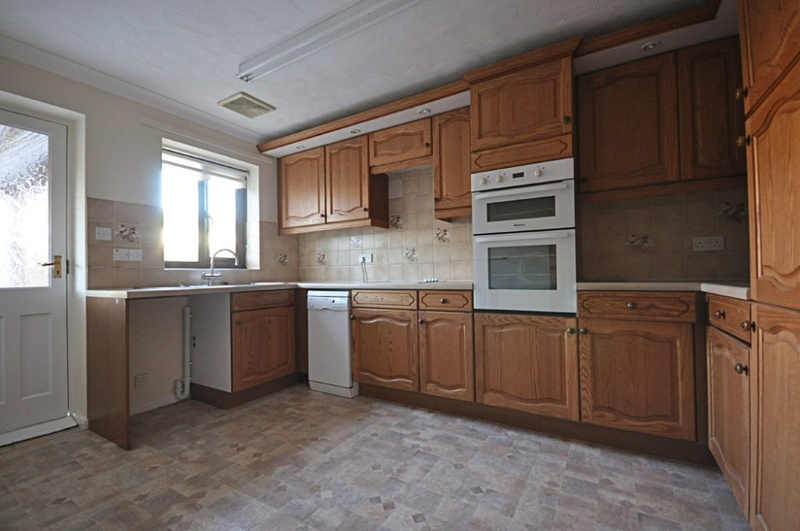 KITCHEN/BREAKFAST ROOM: 12' 10" x 8' 9" (3.92m x 2.67m) Found to the rear of the property and offering a good range of wall and floor units with roll top work surfaces, inset four ring electric hob with extractor above and double Hotpoint oven to side. Space/plumbing for automatic washing machine or dishwasher. Secondary door giving access through to the garden room. 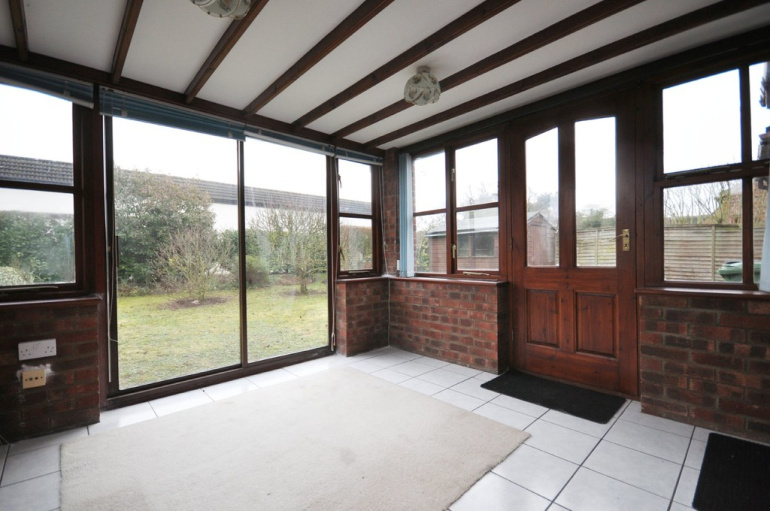 GARDEN ROOM: 10' 9" x 10' 9" (3.28m x 3.29m) Of timber construction upon a brick base and with tiled flooring. Sliding doors to rear giving external access and further single door to side. BEDROOM ONE: 11' 11" x 10' 0" (3.65m x 3.05m) Found to the rear aspect of the property and being a spacious double bedroom with fitted storage cupboards either side of the bed. 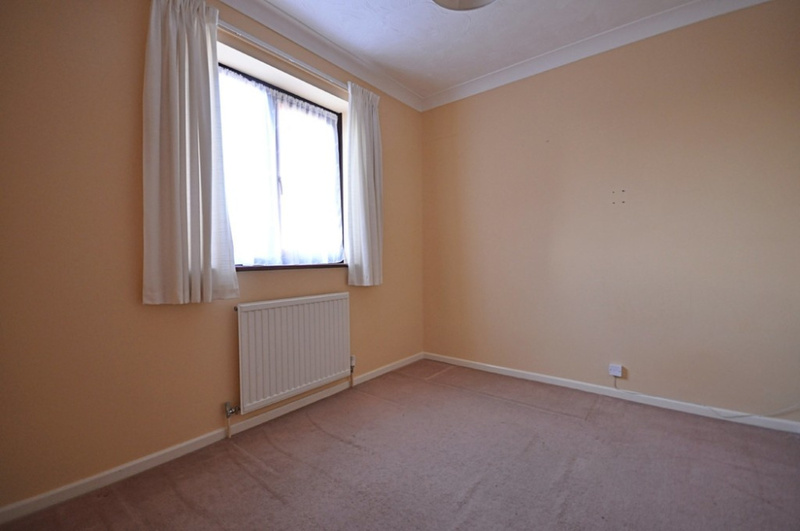 BEDROOM TWO: 7' 11" x 9' 3" (2.42m x 2.84m) With window to the front aspect serving well as a second bedroom, however lends itself for a number of different uses and could be used as a dining room area etc. 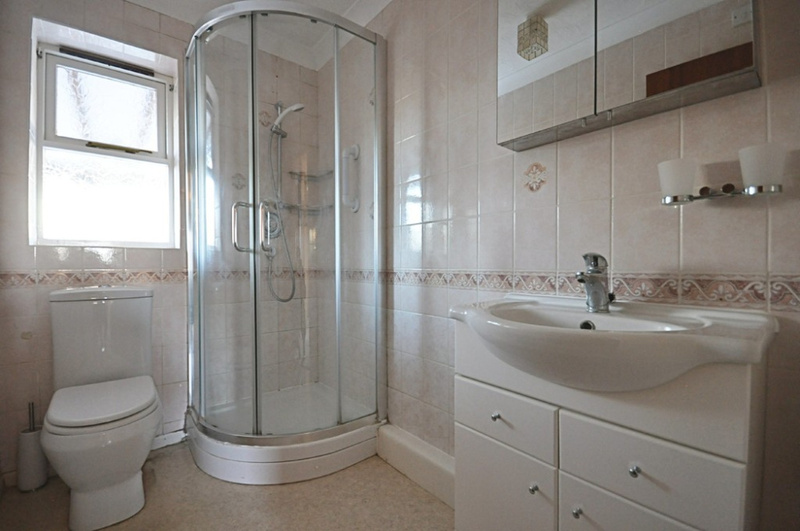 BATHROOM: 7' 4" x 4' 10" (2.26m x 1.49m) Fully tiled. Matching suite in white comprising of corner tiled shower cubicle, low level wc and hand wash basin. 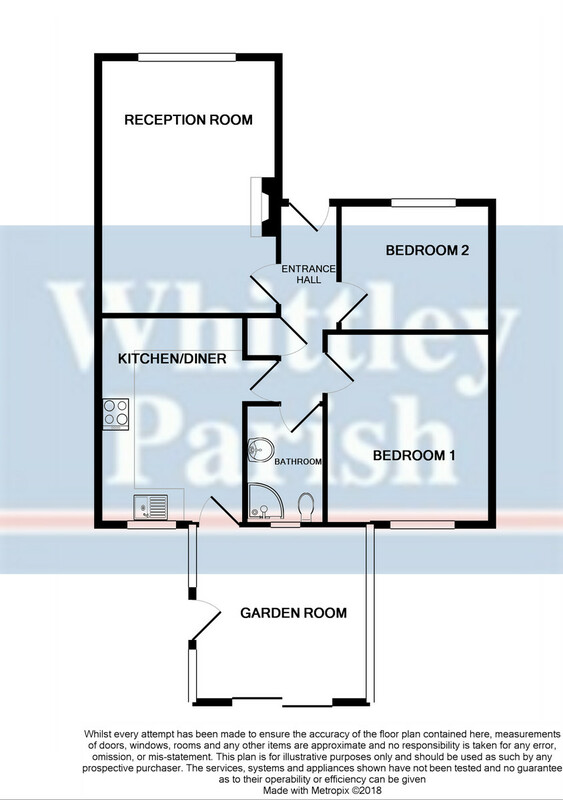 VIEWINGS: Strictly by appointment with Whittley Parish Estate Agents, please contact a member of the sales team at our Diss office on 01379 640808.